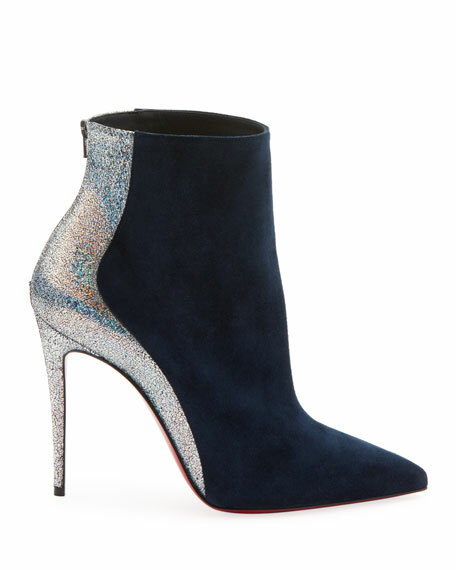 Christian Louboutin calf suede booties with holographic metallic trim. "Delicotte" is made in Italy. 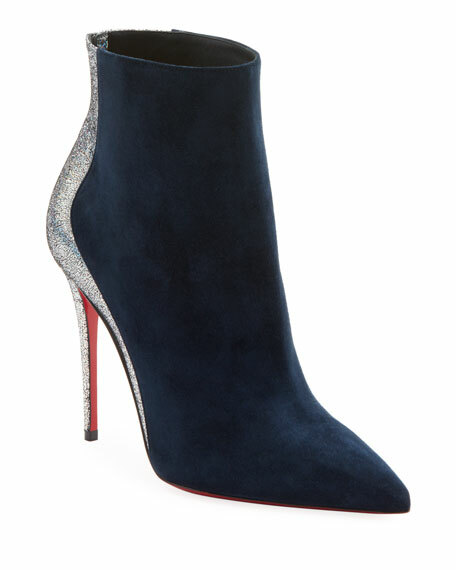 Aquatalia suede western knee boots. Shaft, approx. 15.3"H with 14.7" opening. 1.5" stacked block heel. Round toe. Buckle strap at ankle. Side zip eases dress. Neoprene lining. Rubber outsole. "Fable" is made in Italy.